Turkish Kilim Cushion Covers are the best possible way to deck up your home in a eye catching, vibrant and distinctive flavor. Kilims are flat woven tapestry rugs. They are much lighter than normal rugs and carpets. This is the reason why kilims, in addition to being great floor coverings, also look cool as cushion, pillow, sofa covers, wall hangings and the like. • Wool on wool: Warp, weft and pile everything is made of wool. Woolen pile on wool warp and weft is the most traditional form of weave. • Wool on cotton: Here the pile is woolen and warp and weft are made of cotton. The designs here are more intricate than wool on wool weave. • Silk on silk: Silk pile on silk warp and weft makes the most intricate patterns and designs. 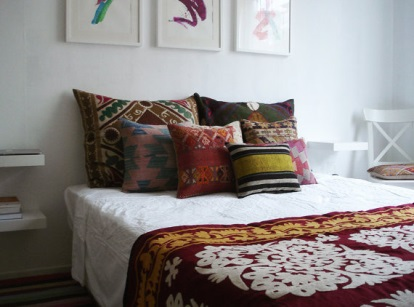 The very best of Turkish kilim cushion covers are available with us. You will be stumped by our inexhaustible collection which is the epitome of quality, excellence, exuberance and what makes it better are our amazing prices and excellent customer service. 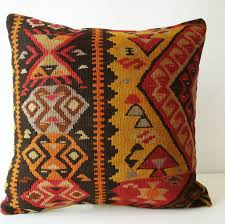 Log on to Rug Store and decorate your lovely cushions with even lovelier Turkish kilim cushion covers.